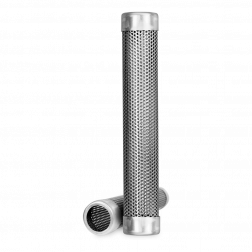 Take a break from standing in front of your smoker or grill with an A-Maze-N Tube or Maze Smoker. This innovative smoking tool allows you to use the "set it and forget it" method thanks to it's slow burn time, no need for refills! Think of all the money you'll be saving on fuel. Best of all the A-Maze-N pellet smokers are versatile enough to fit in most BBQ smokers and grills. Cold smoke your favorite items, like summer sausage, fish, nuts, cheese, etc, or use it to help add in extra smoke flavor to your cook. 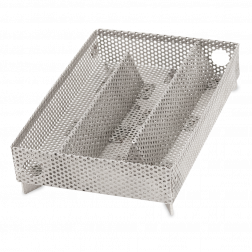 You'll find that smoking is more delicious and easy with an A-Maze-N smoker. The A-MAZE-N Maze Smoker is great for any grill or smoker. You can set it and forget it, because this maze smoker keeps smoking and needs no refills. Tired of looking for the perfect tube smoker? Look no more, customers rave about how easy to use and perfect this A-MAZE-N Tube Smoker is. Stop your search, you've found what you've been looking for.